I quickly realized that the school needed participation in Student government to help new students transition. Back then the school did not help with housing much. After I started my first semester (At the tender age of 41) I joined student government and started to work with the AMSA chapeter, became an officer that semester. Since I was low on funds, student loans were just enough to cover living and tuition, I stayed on the island for 3 straight semesters (MD1 till MD3). I welcomed new students to the island from MD2 till my last MD4. Talked to many on the net and helped them line up places to stay. After MD2 during break, I was convinced to go on a boat outing around the island, the waves kicked up and the boat became swamped. It capsized and we were in the ocean for few hours. The other students help on to the boat but when I grabbed on the boat went under, too much weight. I grabbed onto a cooler and drifted away. Just when the rescuers thought I was lost they found me. They told me I was in the water for 3 hours, the radio station had already announced I drowned. Pretty much studied and worked hard from MD1 till MD4 After MD 4 had White Coat (April 2007) and back to the states to study for Step one. Back then we were on our own, I thought First aid was good enough, I did not pass my first time and found out I should do more than First Aid. I did some clinical science Clerkships in southern Ga.( they ended up as electives for me) and restudied for Step one. We lost our loans in late 2007 and I had enough money to cover till the end of 2008. But I did not Pass step one until Jan 2010. It took First Aid Kaplan Live and Kaplan Question bank to finally do it. 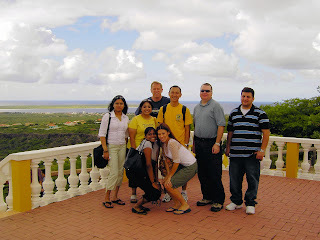 I transferred to All Saints (Aureus on Aruba) in Sept 2009 due to disagreement about how much clinical time I had done. I completed Cores in clinical science and Graduated in April 2011. Passed Step 2 CK August 2011. So with 3 children all graduating Highschool between 2007 and 2010, all 3 going to college, then one getting married and the other child having our granddaughter this week, life was stressful to say the least. A good question always is, did St James prepare me for the USMLE? I always said back then and even now, it is my job to prepare, all the school can do is give you opportunity. Key to USMLE success: Time and Evaluation. If I would have taken the proper time and evaluated myself better than I would of passed the first time. Kaplan course or Kaplan Videos. USMLE world is the best. Now I'm applying for the Match 2012. Its tough because I took step one and step two more than once. But I wont give up. I have sacrificed and worked hard. All this study and hard work makes me a better doctor and a better person. 7 comments to ''Dr. Bill - Medical student"
It is good to know about the experience of the dr. bill and showing the good interesting in the field of the medicine but paraphrasing generator is the best option for all. This is very charming information. Medical University study is big dream for science students. Thanks for sharing your experience as a medical students. Also check our college admission essay editing services. This information should helpful for students to study as a medical students. DO you wanted to know more about stephen king then this is your article as it says some exception side of his life time. http://www.termsgenerator.net/disclaimer-generator-tool/ for more help on your writing. Medical university education is very hard process for students This is really very good blog for students to get medical study help. Here visit on this site to take essay writing help. Also in this article I got great information about medical students. Thanks for sharing helpful article.